The place was spotless clean!! The wine and breakfast items were a very nice appreciated touch. Terrace was our favourite spot!! Thank you for sharing your place with us! Even though there were 80 steps up to the apt, it was a good challenge to help get in better shape. Our goal had been to live like a local and not be in a crowded area with a lot of tour buses. This was so nice and quiet. We found excellent restaurants in a walkable distance. The apt was new and very clean. Check out a photo of Atrani on Pinterest to get a good feel for it. Just inside the arches, there is a piazza with restaurants and little daily markets. This was just what we wanted for this trip. Casa Ester was comfortable, quiet, stylish, and had more space and amenities than a similarly priced hotel room. 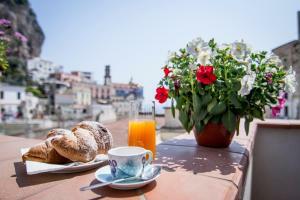 Atrani is much more peaceful and authentic than nearby Amalfi. Worth the 15 minute walk. This apartment is a very clean modern apartment, has a very well equipped kitchen. There also was some coffee, tea and a few biscuits and breakfast cereals to start us off which was lovely. The double bed was very comfortable. 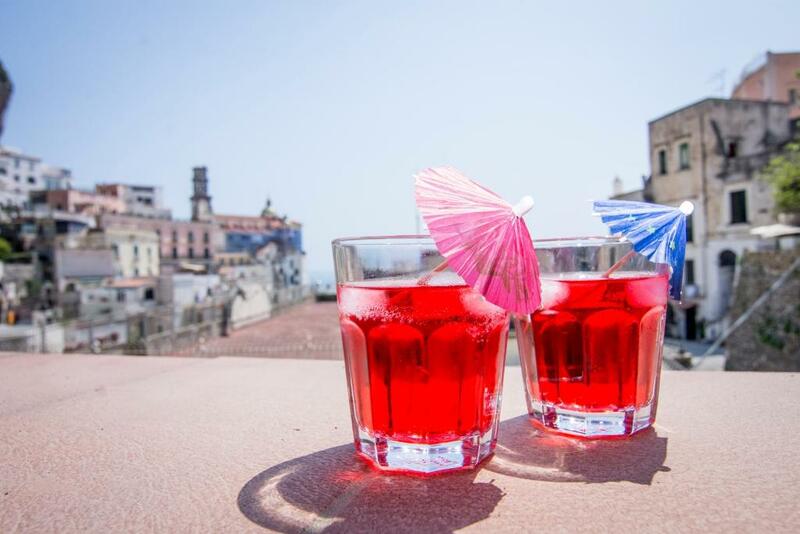 It has a large balcony with a lovely view of the town Antrani. We enjoyed the late afternoons relaxing on the balcony with a couple of beers and wines prior to going out to dinner. Antrani is a nice quiet town with lovely restaurants in the main square, where we ate every night, which is much quiter than Amafli. There is also a 2 little supermarkets and a fruit shop close by to purchase any groceries. 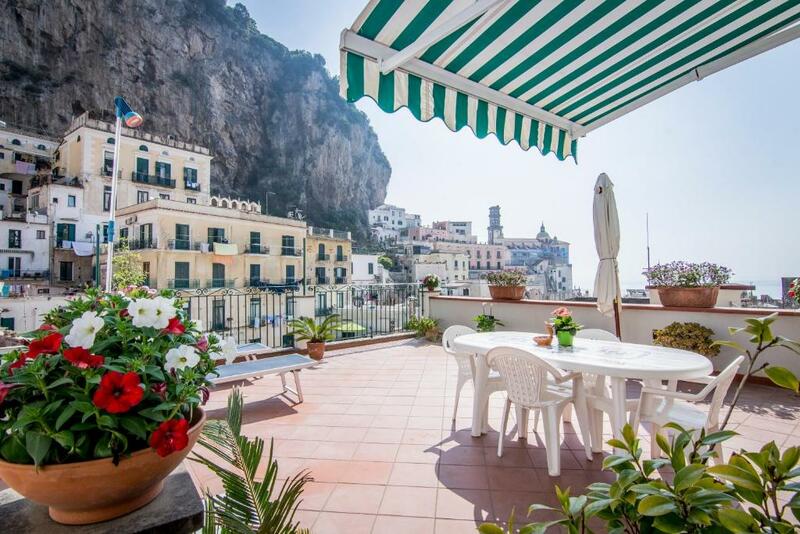 However Amalfi is only a 10mins walk from here if you wish for the busy part of the coast. I would highly recommend this apartment. Spotlessly clean, well equipped and very comfortable apartment with large terrace overlooking rooftops and sea. 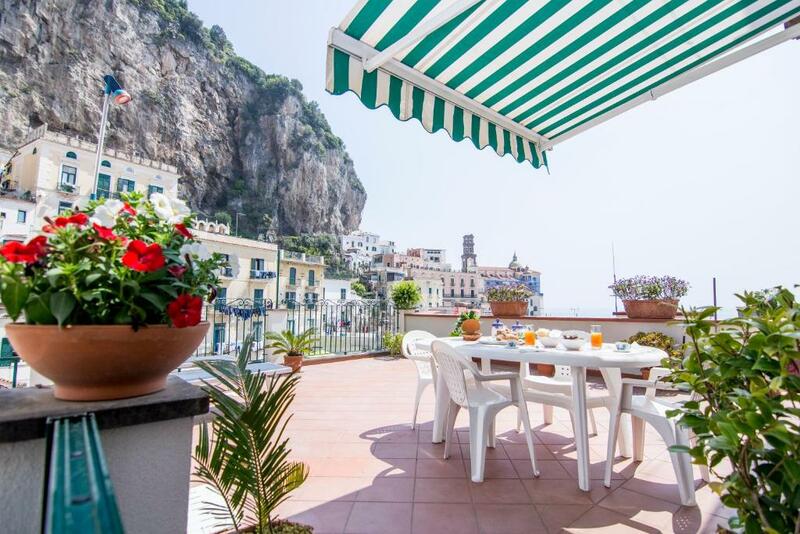 Location in Atrani (10 mins walk to Amalfi) which is a quiet non touristy village with a lovely village square. Atrani is amazing a quant little town within walking distance to Almafi and not far from Ravello but honestly once we where there we loved it so much the people everything about the place overtime we went to the larger places ( Almafi, Positano) we just could not handle some of the tourist we came across. Atrani was perfect and yet close enough to the more tourist spots that your not isolated. The Beach there is great as well. It was quiet compared to Amalfi which was a short walk away. This apartment is a haven in a quiet village on the Amalfi coast, far away from the chaos of the roads and Amalfi town. It is spacious, modern and had the bonus of a huge terrace that catches the sun until about 2pm. The bed was extremely comfortable, and the kitchen was perfectly equipped for a fully self-catering holiday. Bell'appartamento, nel complesso. Caratteristica posizione nel centro storico, con vista sulla parete rocciosa sulla quale era proiettato uno scenario natalizio molto suggestivo. Ristrutturato di recente e ben arredato. Molto pulito. Dotato di prodotti di cortesia, tv, wi-fi , tablet e splendida terrazza. Ottima tranquillita' e riservatezza. Bel salotto con divano ampio e comodo. Dettagli d'arredo di buon gusto. Una bottiglia di vino offerta dalla proprieta' come benvenuto. Presenti anche tisane, te', caffe', zucchero, ecc. la zona salotto e la camera matrimoniale sono dotate di riscaldamento e anche in pieno inverno sono accoglienti. Appartement très spacieux,belle terrasse. Très bon équipement et de très bonne qualité. Sourire et gentillesse des italiens. 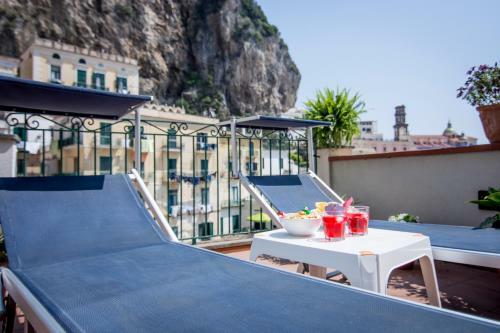 Lock in a great price for Casa Ester – rated 9.3 by recent guests! One of our best sellers in Atrani! 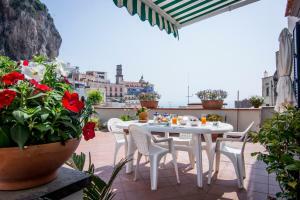 Casa Ester offers accommodations in Atrani. The property features views of the sea is 24 mi from Naples. Free WiFi is available throughout the property. The apartment has a seating are, 2 inter-connecting bedrooms and a kitchen equipped with an oven. A flat-screen TV is offered. There is a private bathroom with a bidet. 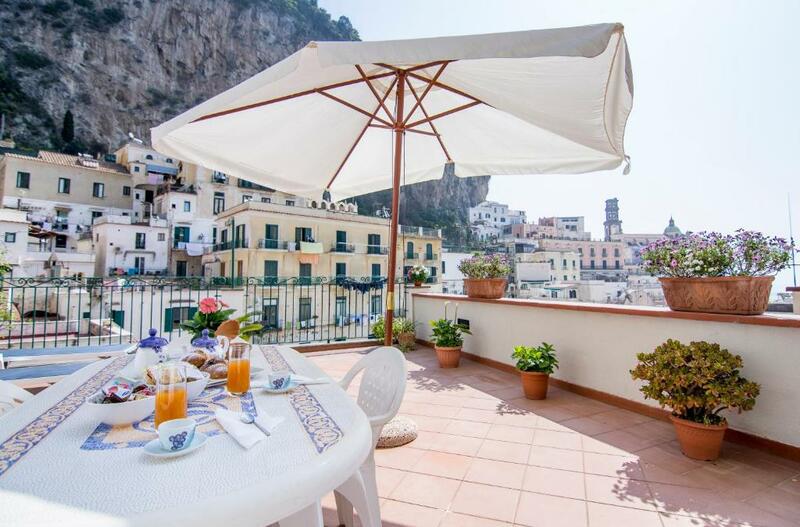 Sorrento is 12 mi from Casa Ester, while Salerno is 8.7 mi from the property. 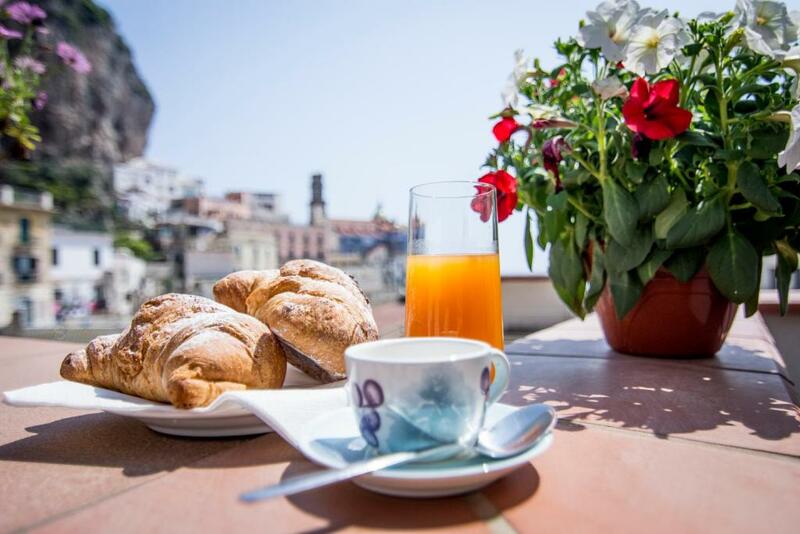 The nearest airport is Naples International Airport, 24 mi from the property. When would you like to stay at Casa Ester? This apartment features a sofa, kitchenware and washing machine. Has 2 inter-connecting bedrooms. House Rules Casa Ester takes special requests – add in the next step! Please inform Casa Ester of your expected arrival time in advance. You can use the Special Requests box when booking, or contact the property directly using the contact details in your confirmation. Please note that check-in and key collection take place at: Via dei Dogi, Atrani 84010. We rented this apartment as a 2 bedroom but unfortunately the 2nd bedroom is bunks and single slide out on floor and is off the main bedroom, so as we were 2 couples it was a little akward at times. I think it would suit 1 couple or a family. I would not recommend it for 2 couples. The church bells that rang every quarter of an hour. Difficult if you are a light sleeper. The 83 steps were a challenge with luggage, but this is the Amalfi coast, and the view was worth it. The system with rubbish disposal was complicated but Mariagrazia was very helpful. Unfortunately the bus system along the coast is now so slow due to traffic jams all day long, that it is no longer reliable for meeting trains. The ferry is more expensive but reliable.